A glass object that is subjected to internal strain, for example due to inadequate annealing or to the presence of defects (e.g. 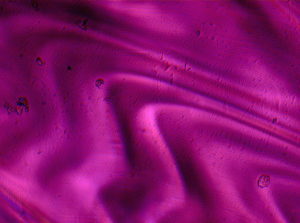 cords, blisters, inclusions, stones), gives rise to a phenomenon of birifringence if observed under polarized light. 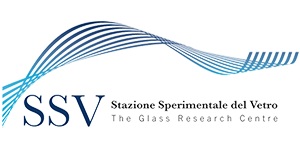 This “photoelastic” effect is exploited for the evaluation of glass containers’ homogeneity through the “Ring Section” method, which classifies product quality mainly on the basis of the intensity of the highest stress cord identified therein. In particular, the ring section technique consists in examining under a polarising microscope a series of annular cross-sections of a bottle, cut perpendicularly to the axis of the container and with the base surfaces polished to facilitate observation.